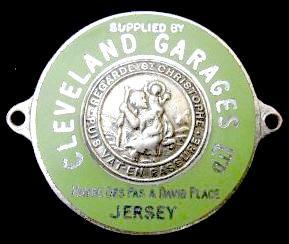 These badges and signs were used in Jersey by Cleveland Garages Ltd. The small enamelled St Christopher badge was attached to the dashboard of vehicles that were sold by the garage, this badge came in various colours. 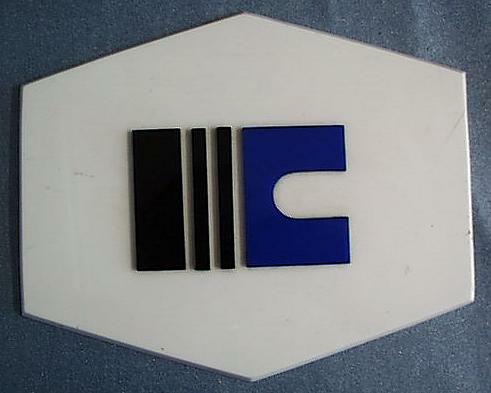 The lozenge shaped plastic badge used to be attached to the glass Car Showroom door, this one came from the showroom in David Place when the garage was demolished. 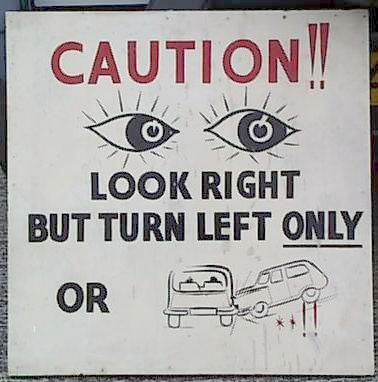 The large wooden board used to be hung in the rear of the David Place workshops to remind drivers not to turn right onto the blind corner, I have now donated this sign to Pallot's Steam and Motor Museum in Jersey.